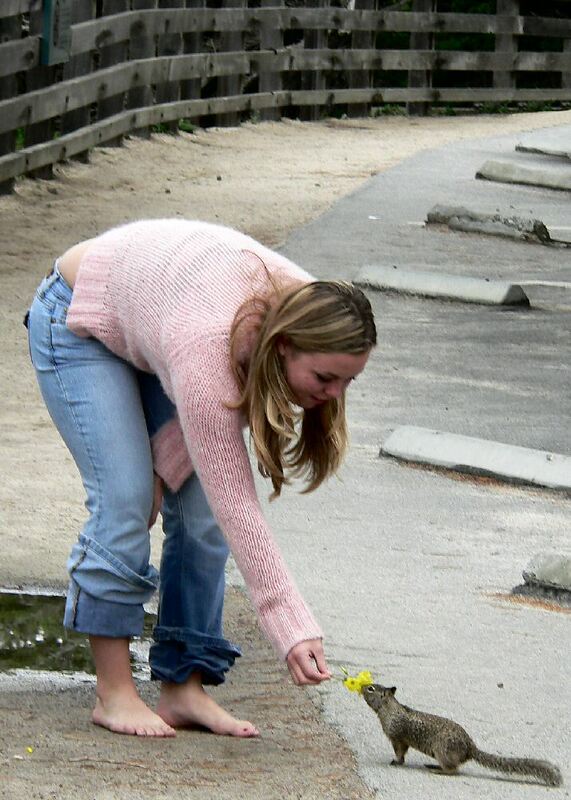 I went on a little vacation over the weekend and made a sightseeing tour to Watsonville and Monterey. Very beautiful beaches and rocks up there, as well as some very friendly squirrels. I took a few pictures that I think came out pretty well. 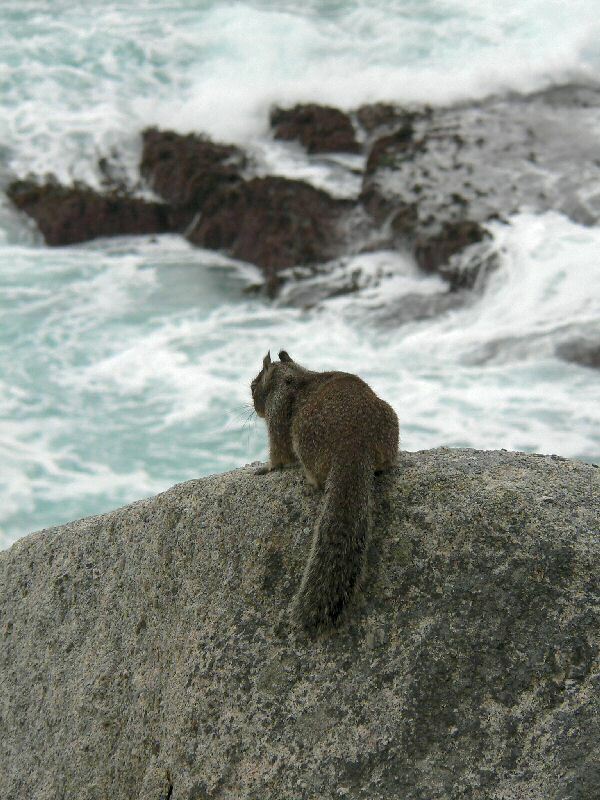 The first one is this squirrel I saw perched on a rock, staring out over the ocean. I got lucky and snapped a shot of him right before he ran off. This one wasn't anything special, I didn't really have time to frame the shot, just turned around and snapped a picture before the squirrel took off again. I forgot to mention, the pictures of the squirrels were taken on Shutter Priority, but I lost my numbers already when I cleared the memory card The pictures have been retouched with an Unsharp Mask and a mild contrast enhancement, as well as the general crop and resize. Poor squirrel (first pic). Don't do it! Things 'll get better! You'll find some nuts! Ease back now, slowly, slowly... there. (Crowd cheers...).